Well, it took until the first week of November, but the first freeze of the season is coming this weekend here in the upstate of South Carolina. Temps are supposed to drop to lows in the upper 20s and low 30s all weekend. Makes you want to grab a heavy blanket and curl up with the space heater and hot chocolate just thinking about it, right? Unfortunately, with the cold temps and switching on the heat, there comes higher energy costs, which leaves you looking for as many practical ways to save money as you can. So, we thought we’d help you out by listing some good tips for winterizing your home and HVAC system. You are probably already informed about some of these methods, but we hope that you can still glean something from the list that will help you. Caulk your windows. Doors and windows are the main sources of air leakage in homes. As we me mentioned briefly in last week’s blog on duct leakage, which is linked to air leaks (if you missed the last blog post, here’s a link: https://www.boilingspringshvac.com/blog/slipping-through-the-cracks-duct-leakage-and-energy-efficiency/), air leaks can affect energy efficiency by as much as 5 to 30% each year according to the US Department of Energy. 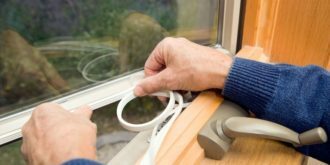 The best way to prevent air from seeping out and drafty cold air from slipping in is to seal up gaps and cracks in the sills and areas around your windows with caulk or weather stripping. How do you know if a window needs sealing? There are a couple of ways to test it. The first is obvious – feel around the window. If you feel a draft, the window has a leak in it somewhere. Another test you can utilize is the smoke/incense stick test. Simply take a lit incense and run it along walls and windows, being careful not to touch anything flammable. If the smoke is disturbed or wavers any, there is a leak present. You can also test for leaks using a hairdryer and a candle. Have a person blow air around a window with the hairdryer from outside and you hold a candle to the window. If at any point the flame flickers or is extinguished, you have a window in need of sealant. 2 Seal the crack under your door. Your front door, like all of the interior doors within your home, has a small space underneath it. This is actually where most homes lose the most energy, as this gap allows air to flow freely out the door. If you don’t have a screen door, this could be an even bigger problem as the door not only lets heat out, but drafts in cold air. 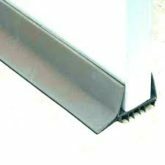 This crack can be sealed for cheap simply by rolling up a towel and placing it under the door, but if you are one who prefers something a bit more aesthetically appealing, they do make draft guards and weather stripping that can be attached to the door. 3 Consider installing a storm door and storm windows. Installing a storm door can increase energy efficiency by up to 45 percent. Storm doors are a great idea if you have an older front door that is not as thick or insulated as the newer doors are. If you do consider a storm door, it is recommended that you go with a low-e (low emissivity) or glazed glass. Ordinary glass storm doors are known to trap heat, which can damage your main door. Storm windows can be placed on the interior or exterior of the home and likewise, it is recommended to get low-e or glazed glass. Low-e glass will reflect heat into the home during the Winter and outward during the Summer. 4 Insulate your pipes. 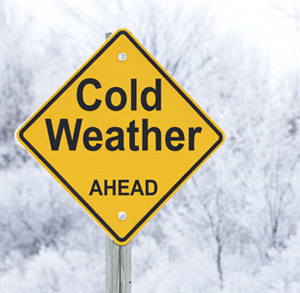 When the temps drop, unprotected pipes are at risk if freezing and bursting. The best way to ensure you don’t have a watery mess and to save money heating your water is to insulate pipes. This can be done with anything from duct tape to tubular foam sleeving and zip ties. 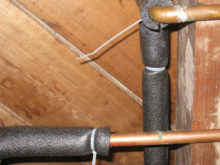 Simply duct tape the turns and joints or tightly zip tie (or duct tape) foam pipe sleeving to the unprotected areas. 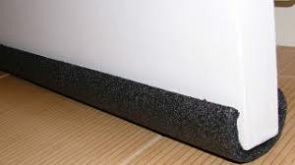 Pre-slit pipe sleeving foam can be purchased at any local hardware store. 5 Make sure ice, snow, and moisture do not get into your heat pump. Obviously, accumulating snow and ice on the top of your unit will either A) melt and run down into your system or B) build up on top of it. When moisture gets down inside your heat pump and freezes, it can damage it. 7 Get your HVAC system tuned up twice per year. An air conditioner is a lot like a car. It is an expensive investment that you want to last as long as possible. With a car, you have to change the oil and rotate your tires every 3,000 miles. An air conditioning unit endures the same wear and tear as a car does. In order to run as efficiently as possible, it must be maintained every 6 months. This maintenance includes inspecting the system for any small issues that might turn into bigger and pricier repairs or replacement in the future, suctioning drains, checking belt tensions, pressures, inspecting the coils, making sure all the wires are connected, etc. Having routine maintenance done on your system will save you up to 5% on heating costs. 8 Change your air filter once per month. Air filters play an important part in minimizing indoor pollution in your home. Not only does a dirty filter cycle nastiness through your system, but it can also cause your system to run less efficiently. The air filter is located on the part of the system called the return register. This component pulls conditioned air from inside your home and cycles it back into your air handler where it is re-cooled or re-heated and pumped back in. 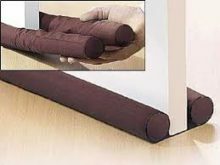 If the filter is dirty, it blocks air from being pulled in, creating an imbalance of airflow, and a backup of air pressure in your home. The backed up pressure causes more air to leak out through any crack or hole it can find, which leads to the heater/air conditioner having to run longer and work harder to keep you comfortable and, consequently, higher energy bills. The longer and harder a system runs, you run the risk of your equipment breaking or or drastically decreasing the lifespan of your system. Recent surveys show that over 90% of homeowners know the importance of changing their filters, but only about 50% actually regularly do so. Don’t risk spending thousands to save just pennies in comparison! Winter time can be depressing, brutal, and downright irritating, but that doesn’t mean you can’t still experience comfort. We hope that these practical solutions will help you to stay nice and toasty all winter long! If you have any questions about winterization or would like to see about getting your heating system tuned up or perhaps you are thinking about getting a new system before the real bitter cold months hit, please give our team a call at (864)-578-7575! We would be more than happy to set you up with an appointment!